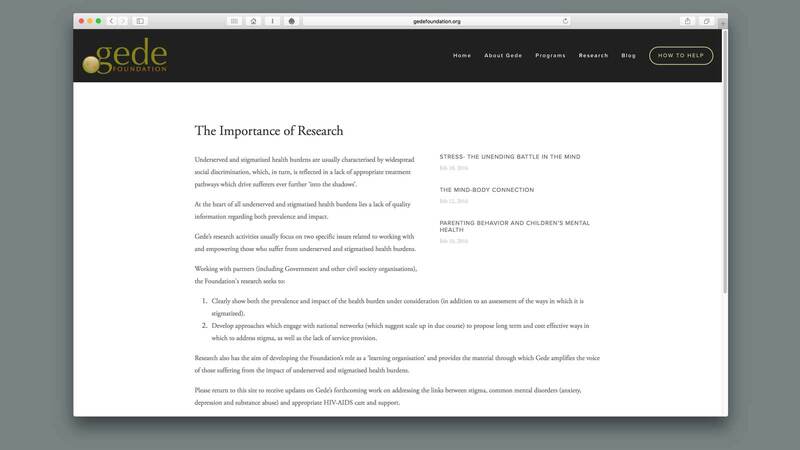 This award-winning nonprofit brand campaign included a website, collateral materials, and a documentary. 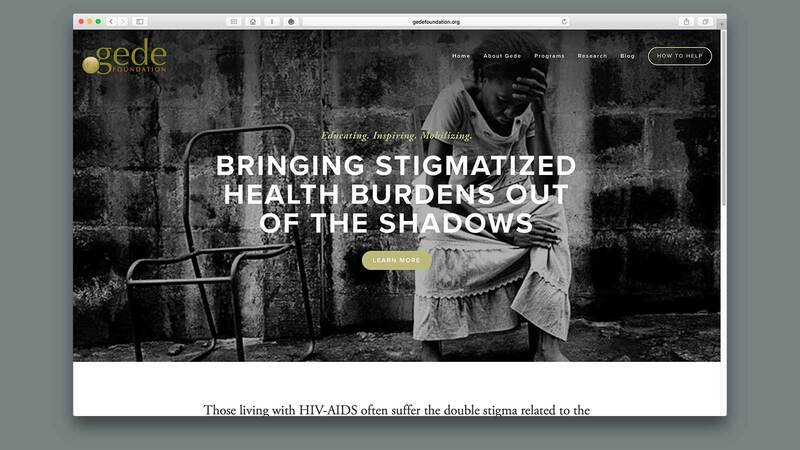 Our goal was to visually bring to life the plight of families and children affected by AIDS in Nigeria, make it resonate with American audiences, inspire health and education programs, and eliminate the stigma of illness. 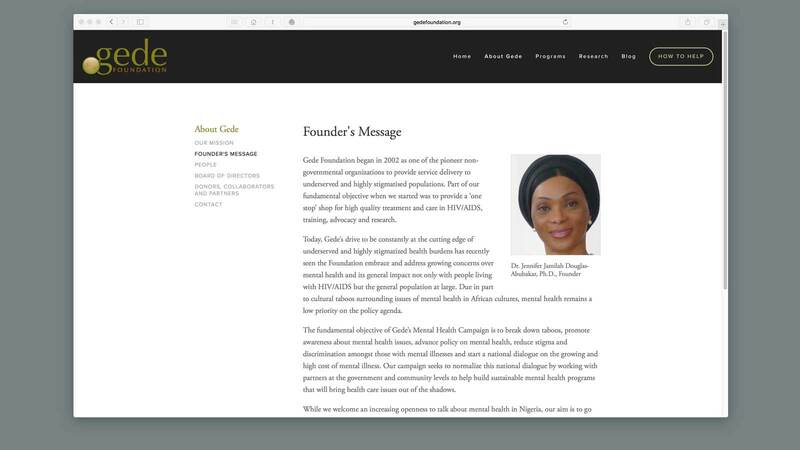 The campaign included an updated Gede Foundation logo, stationary package, annual report, website, signage, leave-behind collateral materials, and an award-winning documentary titled, “A Story of Hope” that told stories of success through the voices of the staff, partner organizations and patients touched by the Gede foundation each and every day. This film was one component of a much larger campaign that began in 2008 and continues today to reposition the Foundation and seek additional funding in both Africa and here in the United States. A huge success, the campaign raised millions of dollars to provide all necessary equipment for HIV testing in the Gede Foundation’s base in Nigeria, as well as funding for educational scholarships.